The food of Italy remains one of the most popular cuisines in the world, providing fresh flavours and ingredients in delicious combinations. 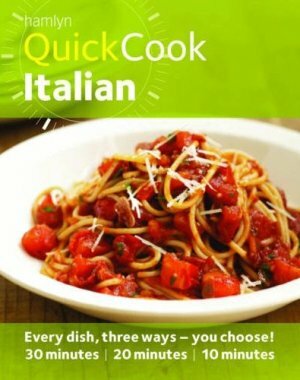 Now Quickcook: Italian shows you how to make 360 wonderfully authentic and regional dishes in as little as 30, 20 or 10 minutes. The collection includes much-loved classics such as pasta and pizza with delicious new twists to suit cooks working to tight schedules. It's a definitive guide - and perfect aid - for busy cooks who understand that there's no food more delicious or attractive than that from an Italian kitchen.